I have been wanting to combine a specific baby alpaca yarn with a knitting machine for a long time. This past month, I finally got around to doing it! The yarn is thin, super soft, and knits so quickly in stockinette stitch on my machine. The finishing is what takes time. And also figuring out what exactly is going to be the shape, gauge, etc of the project. 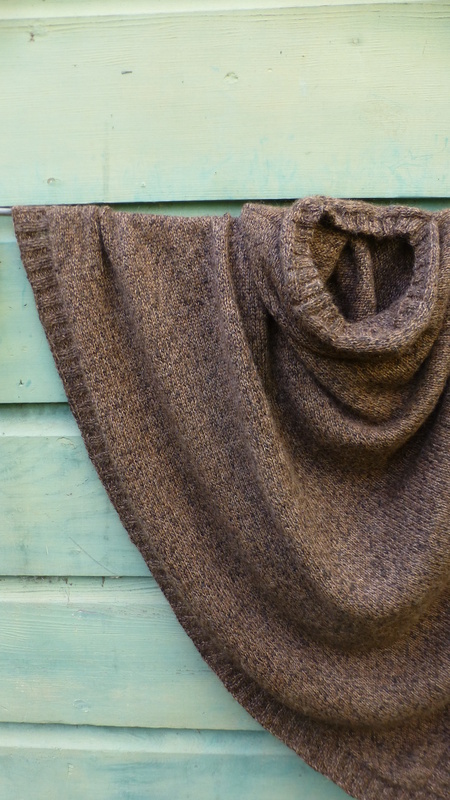 The poncho is knit slightly looser, on half step larger gauge on the knitting machine, and has a little more drape. 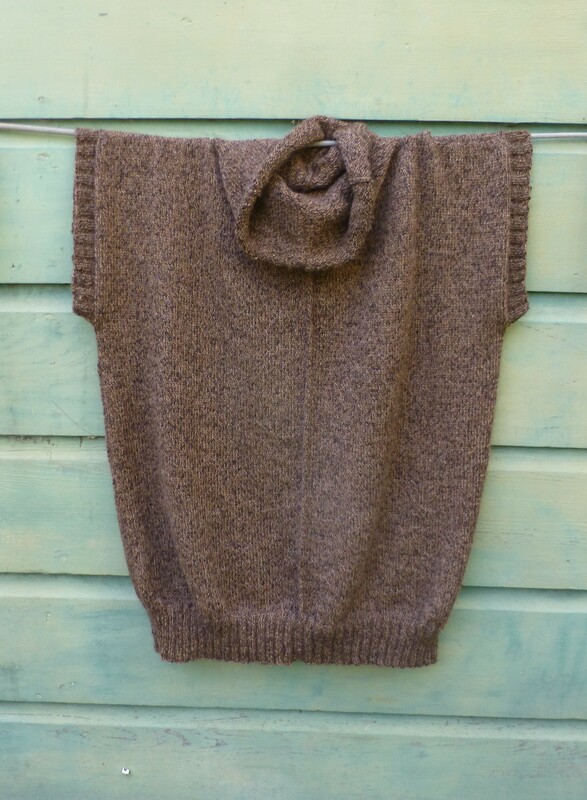 It is a rectangle with a hole for the neck, and ribbing around the bottom. 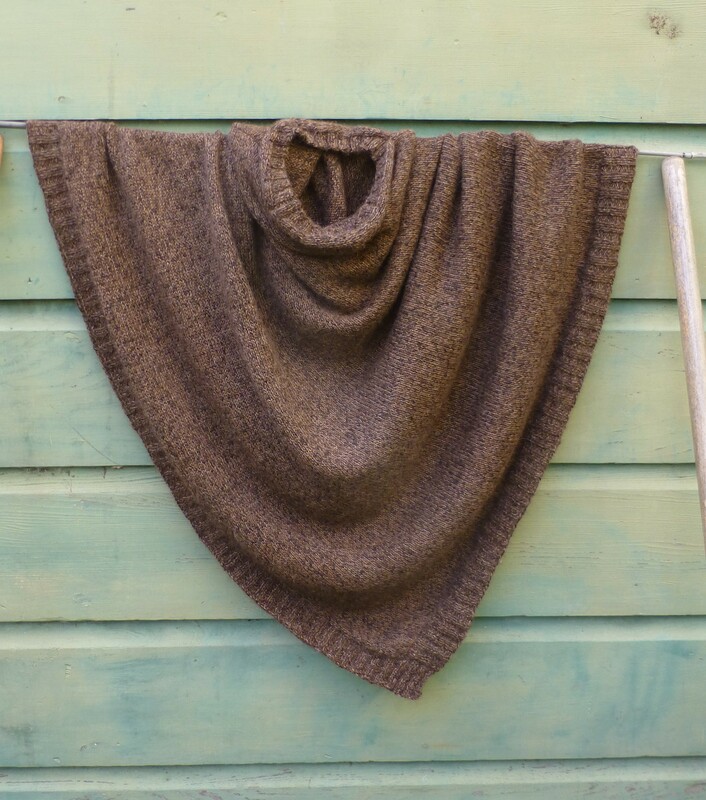 The shape creates an asymmetrical drape, with the direction of the knitting stretching across the body diagonally. 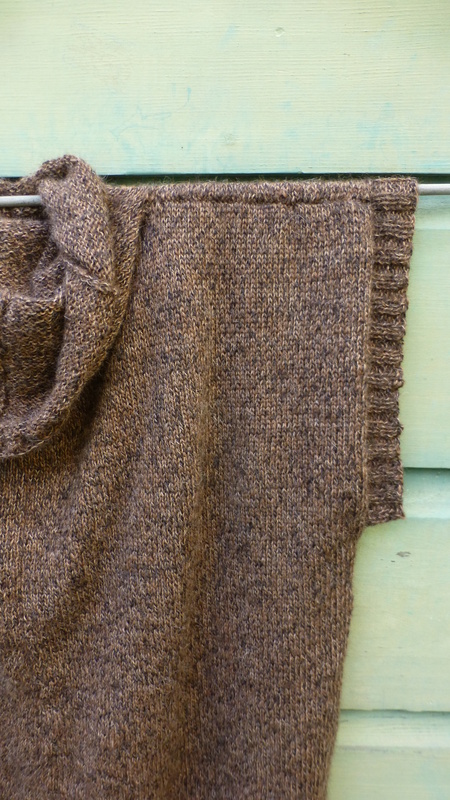 The ribbing at the bottom gathers the fabric very gently, and gives it a little weight and drape. The tunic idea popped into my head part way through my progress on the poncho. 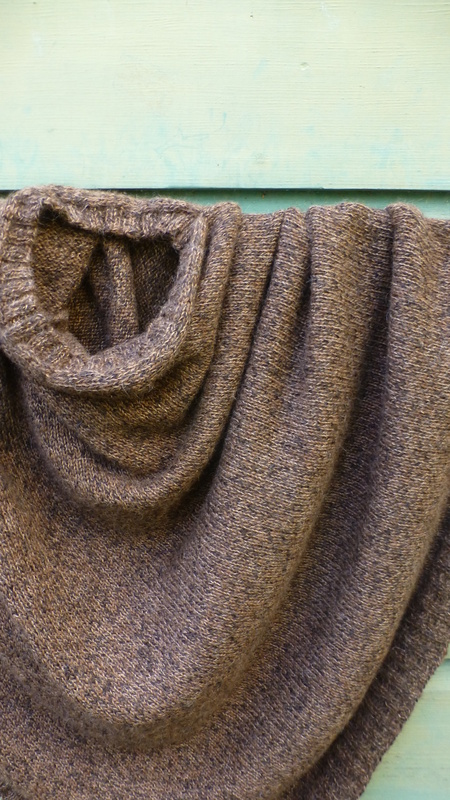 I was playing with the fabric, and decided that I would like to make a garment that draped differently (a more straightforward up and down knit). The sleeves are short, but allow for lots of movement of the arms. And the length of the vest contributes a lot to the overall warmth of the garment. The tunic material is a tiny bit more firm than the poncho material, and more suitable for the shape. 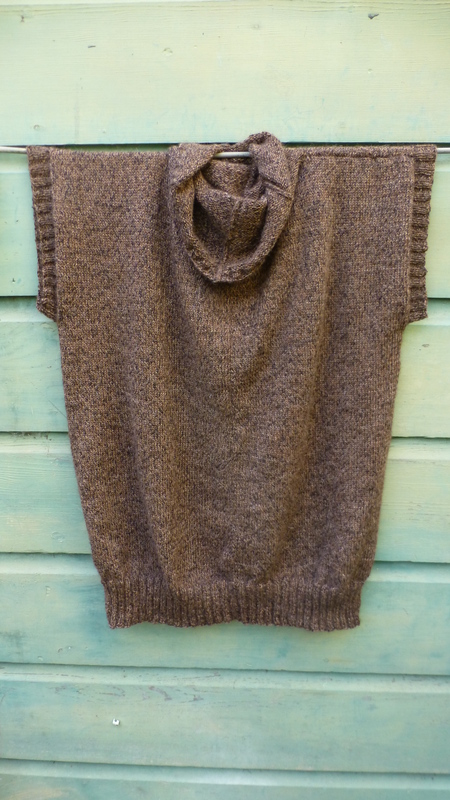 The tunic was knit in 4 pieces and then sewn together. The seams help to define the garment, and give it structure. The reversible seam down the middle of one side can be worn either on the front or the back of the garment. Both the tunic and the poncho are available on my etsy site.